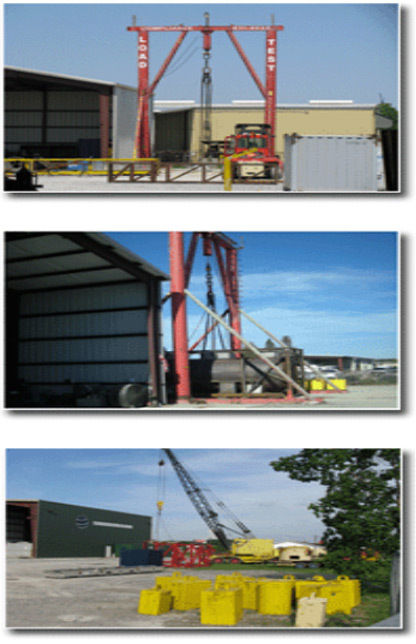 Safety has been and always will be one of the most important aspects of today's business world. 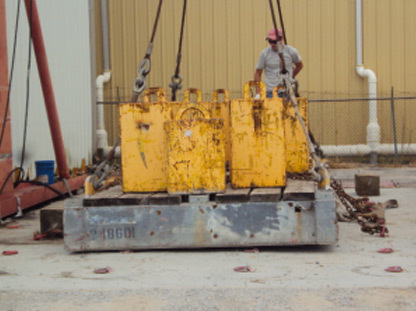 With this in mind, CISI can assure our customer that their equipment lifting attachments and the equipment itself can safely withstand the capacity rating plus a required safety factor. A before and after Magnetic Particle or Dye Penetrant Inspection is done to assure no defects are present. 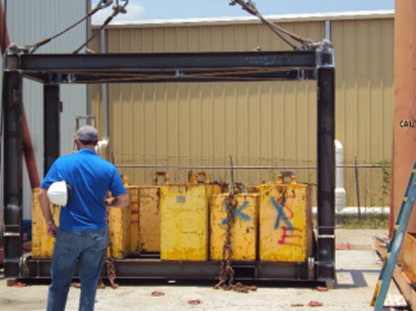 Compliance Inspection Services calibrated weights range from 2,000 lbs. 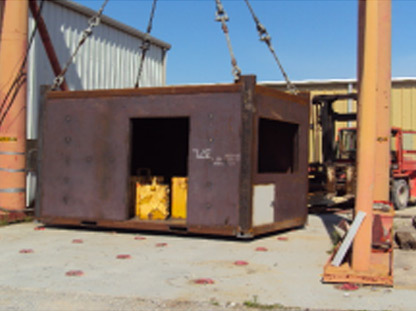 to 6,500 lbs., for a combined weight that well exceeds 150,000 lbs.